September « 2016 « They Said What? In the event that you are new to the Wellsteps./Boise School District debacle, here is the back story, very quickly. I predicted the combination of lying, incompetence and cronyism would win them a Koop Award. Wellsteps showed a complete failure to understand wellness. Wellsteps won a Koop Award. Ron Goetzel and Seth Serxner have never let their friends down in the past, so why should integrity, competence and facts stand in the way this time? Last week we asked if you were smarter than a wellness vendor. (SPOILER ALERT: you are — assuming you can read this posting without moving your lips.) I suggested taking the Interactive Health IQ test, just to be sure. After you’ve finished, review the answers to see what you got right and what you missed. You may have read it before since it’s been getting lots of views for six weeks, but I’ve added several observations since the original posting. You may even find things I missed, so let me know. The reason is that — aside from possibly the first Sunday in November — there aren’t enough hours in a day to identify everything that Koop Committee members “overlook” in their friends’ applications. There is nothing highly technical in the answer posting. In order to make it possible for a Koop Committee member to understand and hence decide to rescind the award, I used only fifth-grade math, simple declarative sentences, short words, and lots of pictures. *Speaking of disclosures that don’t appear in the award application, the Wellsteps CEO also served on the awards committee itself until very recently. Indeed, until so very recently that he still says he is on it. The latest on Nebraska: Ron Goetzel covers up his cover up. September 21, 2016 7:17 am / 9 Comments on The latest on Nebraska: Ron Goetzel covers up his cover up. To our new readers, while 2016 marked the first instance in which a Koop Award was ever bestowed upon a company that harmed employees, 2016 wasn’t the first Koop Award ever to go to a company whose own data showed they fabricated results. Below is a history of one of the Koop Award’s Greatest Hits. For those of you who haven’t been following the saga of the Nebraska state employee wellness program, here is a crash course, aka “Lies, Damn Lies, and the Nebraska State Wellness Program.” If you have been following it, you can skip to the end for the latest installment, Mr. Goetzel’s cover-up of his cover-up. By way of background, this program is called “wellnessoptions” (imagine e.e. cummings-meets-poking employees with needles-meets-a sticky spacebar). They used to say the Holy Roman Empire was neither Holy nor Roman nor an Empire. Likewise, wellnessoptions is neither optional, if you want a decent deal on healthcare, nor wellness. Instead of wellness, it features a hyperdiagnostic anti-employee jihad in which Health Fitness Corporation (HFC) diagnoses employees but does nothing about the diagnosis except take credit for it. I read Health Fitness Corporation announcement that its customer, the state of Nebraska, won Ron Goetzel’s C. Everett Koop Award for program excellence. I recognize that the cancer outcomes were obviously made up. Until then, I hadn’t been following the Koop award closely enough to realize that making up outcomes was apparently one of the award criteria, as I later came to learn. I read the full write-up on the program and realize that not only were most of the other outcomes made up, but they had actually lied about saving the lives of cancer victims. If you screen a few thousand people for colon cancer, you don’t find 514 cases of cancer, and you certainly don’t save their lives, as HFC was claiming. And you absolutely don’t save money, as they were also claiming. All this is even more true when you waive age-related guidelines and let anyone get screened, and encourage overscreening by sending out 140,000 letters to state employees graced with the picture of a beautiful young model way too young to be getting a colonoscopy. How this invalid nonsense ever got by all the eagle-eyed Koop Committee members would be a mystery, except that HFC is a sponsor of the Koop Committee. I review the entire application and all the marketing materials. It becomes obvious that the entire thing was made up, not just the cancer part. They claimed to save $4.2 million because 161 of their roughly 6000 participants reduced a risk factor. The math is quite self-evident. Suppose you doubled the number of participants who reduced risks to 312. It stands to reason that you could save $8.4-million. Double it again to 624 and you save $16.8. I later learn that all the Koop Award-winning program outcomes are made up, using exactly the same math. I try to contact the authorities, like Roger Wilson, who allegedly runs this program for the state, but no one seems to care. The rule of thumb in the wellness industry is that what you say counts. What you do is pretty irrelevant. Breakthrough: The Wall Street Journal editors decide that I am correct, and that the outcomes were made up. Vik and I are allowed to publish this on their op-ed page. Breakthrough again: Another very well-read blogger professes shock-and-awe that any vendor could lie so blatantly and apparently get away with it. 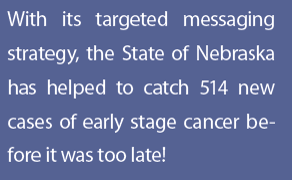 Breakthrough yet again: Ace reporter Martha Stoddard of the Omaha World Herald gets Dennis Richling of Health Fitness Corporation to admit that the outcomes — at least the “life-saving catches” of “early stage cancer” outcomes — were indeed made up. Richling tries to spin his gaffe by calling the difference between “life-saving catches of early-stage cancer” and saying someone might possibly get cancer in the future “semantics.” So, according to Richling, having cancer and not having cancer are the same thing. The hilarious wellness industry smackdown Surviving Workplace Wellness is published. Since the HFC Nebraska program had too many lies to fit on a page or two, it gets its own chapter. Here’s the opening paragraph, which in all modesty I must admit is one of my favorite in the book. Nebraska political blogger ReadMoreJoe picks up the scent. He points out that this wellness program is an obvious fraud. The problem is that the same posting is also exposing several other equally obvious frauds, so this one gets overlooked. Ron Goetzel isn’t about to sit back and let his friends/sponsors/clients be pilloried for a little white lie about saving the lives of cancer victims who didn’t have cancer. At the Health Datapalooza conference, Ron Goetzel, while admitting the Nebraska cancer outcomes data was made up, claims they/HFC still deserve the Koop Award because he somehow didn’t realize the data was made up at the time the award was granted. And it is true that HFC didn’t actually announce they had made up the outcomes. Ron would have had to actually read the materials to figure it out, same as I did. Ron Goetzel calls the Nebraska program a “best practice” in the Journal of Occupational and Environmental Medicine but refuses to answer any questions about the obvious mistakes and inconsistencies in the article. Being a fair-minded person, I take it upon myself to congratulate him on his newfound sense of ethics. I don’t specifically agree that what he did was ethical, because the ethical thing would have been to admit complicity, apologize, and revoke their Koop Award. But I do say that Nebraska being dropped from the list of best practices means ethical “progress is definitely being made,” albeit from a low base. He also adds PepsiCo to the list. 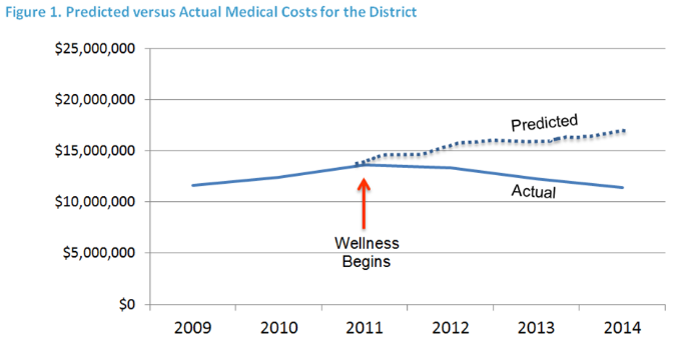 I guess losing only $2 for every $1 you spend qualifies as such in wellness, where most organizations lose much more. In a rally-the-base invitation-only webinar, we are told that Ron has promoted the Nebraska program from “best practice” to “exemplar.” It seems like the more obvious it becomes that the whole thing was fabricated, the more Mr. Goetzel worships its outcomes. WELCOA finally takes the fabricated case study of Nebraska’s outcomes off their website, 26 months after the fraud was admitted. Perhaps some pressure is being put on them to come clean, given that this is Nebraska’s program and they themselves are based in Omaha. This means Ron Goetzel is literally the only person left who thinks it’s perfectly OK — indeed, a “best practice/exemplar” — to lie about saving the lives of cancer victims. Good luck with that in the upcoming debate. It’s him against the world. Or, as he sees it, everybody’s out of step but Ronnie. Nebraska tentatively re-awards the wellness contract to Health Fitness Corporation. I am looking over the precipice towards utter humiliation. In the original application, this excerpt appears in a letter from the Governor of Nebraska. Only now the Governor’s letter says the opposite what he actually wrote. In the real world, this would be considered forgery. In wellness, a forged cover-up of a blatant and admitted lie about saving the lives of cancer victims who didn’t have cancer is considered business as usual. Johns Hopkins and Truven (Ron’s employers) don’t seem to mind either. The state is rescinding its award to Health Fitness and terminating its wellness program. In the immortal words of the great philosopher Stewey Griffin, victory is mine. Mr. Goetzel finally acknowledges that Health Fitness Corporation told a whopper, and the Koop Committee overlooked it, allegedly by accident, for the four years during which I’ve repeatedly pointed it out. He now calls this an “erratum.” However, the word “erratum” is usually used to correct honest mistakes (in sharp contrast to this one), usually within hours or days of their discovery (in sharp contrast to this one). You can’t forge official state documents and then call the whole thing an “erratum.” Is a robber allowed to give the money back after he gets caught and just uncommit the crime? 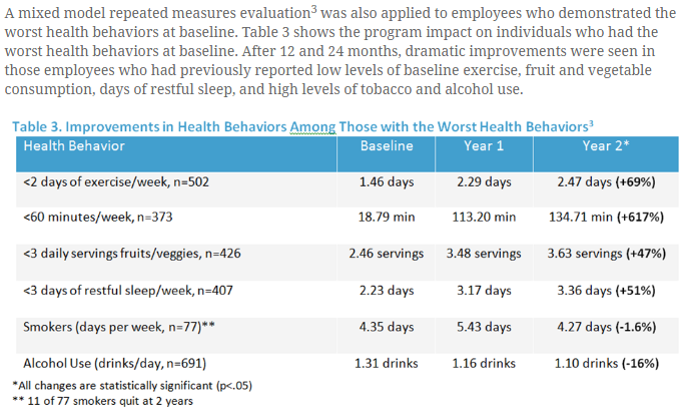 So now, having admitted that the award-winning vendor told the biggest lie in wellness history (against stiff competition), and knowing that all Nebraska’s obviously fabricated savings were mathematically impossible, and that waiving age restrictions for screening is akin to waiving age restrictions for buying beer, the Koop Committee finally, after four years, rescinded the Nebraska award. Haha. No one falls for that line any more. Quite the opposite, they are doubling down. They say that whopping lies like this one don’t disqualify you, assuming you are an award sponsor. You get to keep your award. Ditto, if your entire claim of “separation” between participants and non-participants is shown to be false but you are sponsor, Ron merely doctors the data and you get to keep your award. Also, if it turns out you lied about your savings because there was no change in the biometrics to attribute the savings to, but Ron was a consultant on your project, you get to keep your award. Likewise and as was confirmed in 2016, if you are a committee member, as Wellsteps’ CEO was until recently, despite your own data showing that you actually harmed employees, you get to keep your award. Bottom line: as a friend-of-Ron, you might get to keep your award even if you shoot someone on Fifth Avenue. At the risk of knocking the Interactive Health posting — worth a read if for no other reason than to take the Interactive Health IQ test — off the front page, this one is a bit time-sensitive. This site has 5200 followers. I’d love to meet some of you. I’ll be at the Employee Healthcare and Benefits Congress Sunday afternoon (speaking on incentives) and all day Monday. Please text me at 781-856-3962 during that period and we can meet in person and chat about all the worthwhile things they are doing, and compare notes on what we are doing. Obviously some people can’t make it because it conflicts with the HERO conference, at which the Koop Award will officially get bestowed on a vendor that actually harmed employees according to its own data, which is a first even for the Koop Award, which has had more than its share of ethical and analytical challenges over the years. The chat there will emphatically not be about all the worthwhile things they are doing, but rather the news coverage that is likely to appear around the same time “outing” Wellsteps for harming the Boise employees. Now get back to the IQ test. See if you can figure out what Interactive Health apparently couldn’t. Are you smarter than a wellness vendor? Take the Interactive Health IQ test and find out. September 16, 2016 7:51 am / 11 Comments on Are you smarter than a wellness vendor? Take the Interactive Health IQ test and find out. I’ve raised the bar for getting “profiled” on this site. Life is too short to simply highlight every wellness outfit that tests inappropriately and then lies about their outcomes. Hey, Interactive Health, we get that you don’t understand statistics in general, based on the mind-boggling excuses your consultant offered about your completely invalid savings report (“Al, the [massive] savings on Page 4 have nothing to do with the [trivial] risk reduction on Page 9. It’s a completely separate analysis.”). No, these days to get into this column, you need to soar above and beyond ordinary wellness vendor stupidity and dishonesty, because Wellsteps has totally raised the bar…and yet Interactive Health has cleared it. By process of elimination, I originally landed on #3. Quite flattering really. I’d make a few observations. Second, the glucose is slightly high because some very generous folks had just treated me to a large and delicious breakfast. 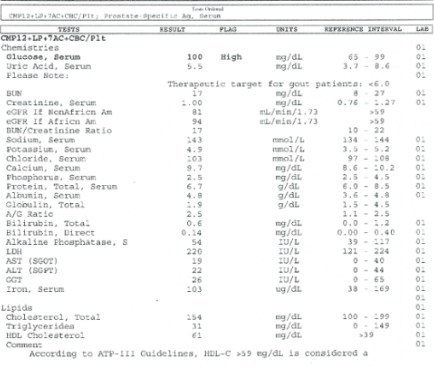 A classic false-positive, the type of reading that makes wellness vendors’ hearts go all aflutter, because then they can do a followup reading and show that they improved the outcome, after it improves on its own. Interactive Health’s lab report was completely unhelpful on this high reading. No advice offered. Interactive Health also tested me for calf tightness, as I mentioned in an earlier blog. It turns out my calves are tight, and right on-site they loosened them. I could feel my productivity soaring…until the left one went into spasm that night. Still, loose calves are a useful trait for some jobs, such as first baseman. Interactive Health may have also just assumed that because they don’t like me, no one else in the industry does either. That’s actually a fairly accurate assumption, one I am quite proud of given the integrity of most of them, with their trade association, the Health Enhancement Research Organization, leading by example in the pants-on-fire department. Indeed a good rule of thumb to determine if a wellness vendor is honest is to ask them what they think of me. Nonetheless, I was able to find someone who was screened at a different screening and said he received an actual wellness outcomes report from these people, someone who likes me well enough to send it to me. Coincidentally, this individual had been urging me to post on Interactive Health for quite some time. I figured, cool, I could see what a real report from Interactive Health looks like, the kind that changes employee behavior enough to explain their whopping savings claims of $54,000 for each employee who reduced a risk factor. No such luck. He sent me exactly the same lab printout that they sent me. Only he hadn’t lost the second page, so I could count the total: 43 lab values. “Knowing your numbers” could be a full-time job. One would think they had covered all the risk factors with all those lab values, but, curiously, the guy said his blood pressure was quite high, and they missed that altogether. Hmm…how come he got the same completely unhelpful report I did? Did Interactive Health view my linkedin profile — as their executives are wont to do on a regular basis bordering on the obsessive –and decide that it wasn’t safe sending any of my connections their typical employee printout, on the theory that if I’m not stupid, neither are most of my connections? If so, that would be their second fairly accurate assumption. The only other explanation is that everyone receives the same unadorned lab report, full of letters and numbers and signifying nothing, at least to the average person without a PhD in biochemistry. My feelings were shattered. I wasn’t special. Do they send everyone else incomprehensible lab reports with 43 different numbers in them along with assortments of letters most people would associate with Scrabble…and no interpretations or advice? 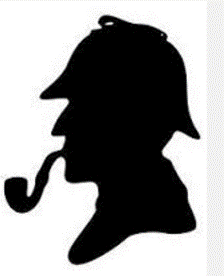 Whether incompetence or botched coverup, the explanation itself remains a mystery. Nonetheless here are a few numbers and letters from his report. Maybe Interactive Health could interpret this for us, but I would be more confident of their ability to distinguish (for example) AST-SGOT from ALT-SGPT if they could distinguish (for example) a chair from a cigarette. How is anyone supposed to make any sense out of this? Most employees would think a “negative risk factor” is a bad thing,” as in “telling the truth is a negative risk factor for the profitability of wellness companies, which is why most of them never do it.” And what does “VLDLCH” mean and why isn’t it reported? Still no interpretations. And, yes, finally, an interpretation! In other words, the interpretation is that this test doesn’t explain anything, so we recommend ignoring the result. It would have been even more helpful for them to recommend ignoring Interactive Health altogether– the calves, the chairs, the cigarettes, the AST and ALT, and, to be discussed in a future posting, the fabricated outcomes report.